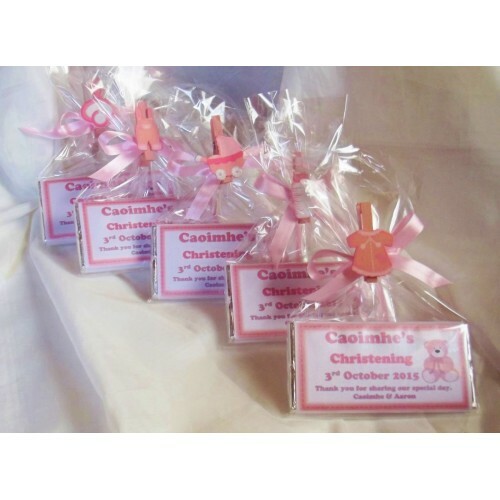 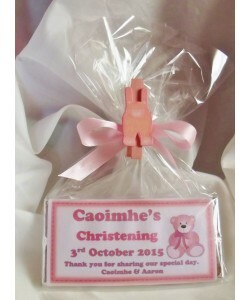 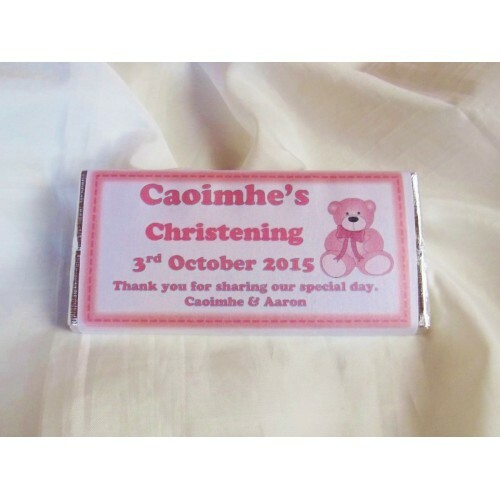 Personalised 40gr milk Christening chocolate bar. 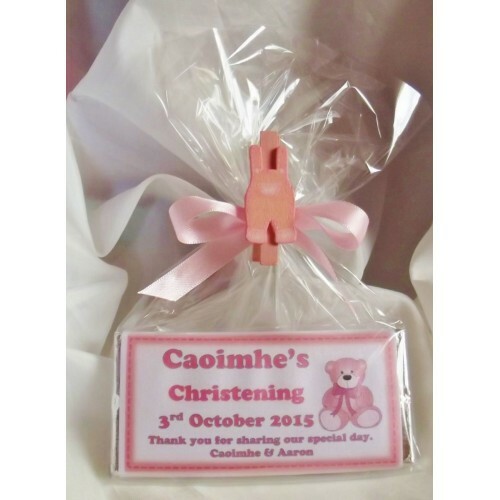 Each bar is wrapped in Premium Parchment white/cream paper with wordings of your choice and decorated with a little teddy image. 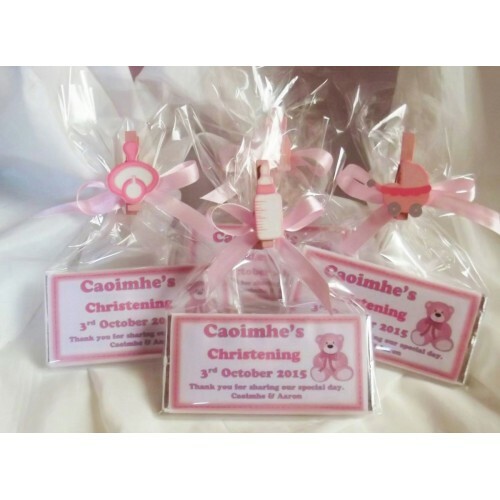 Each bar is wrapped in cellophane and tied with ribbon to suit the style of the bar and a selection of pegs with wooden baby embellishment.